Join us this Shabbat - tomorrow, Saturday, May 27 - for special Kiddush Lunch after the morning service. 12:00 pm approx - Kiddush Lunch! If you would like to take part in the mitzvah of beautifying a room that's used for Torah study, prayer and Jewish celebration, please contact Rabbi Yitzi Schmukler at rabbi@jbayarea.org or 281-724-1554, or simply submit your sponsorship at www.jbayarea.org/give (mention your intention in the "In Honor" box). Thank you so much, may we merit to join in many Mitzvot together! This Thursday, take in those cool ocean breezes and enjoy some delicious grilled fare as we celebrate the festival of Lag Ba'Omer with a fun barbecue on Galveston Island! Delicious food | Jewish and Israeli folk music | Drinks and more! New course off to a great start! Our newest JLI Course, Strength and Struggle, was off to a great start this week as we delved into the story of Jephtah and the scandal of child sacrifice. How could Jephtah make such an egregious mistake? What factors enabled it or allowed it to happen? What lessons can we learn from this painful episode? With 5 more lessons to go, it is not too late to join in! Come check it out this Tuesday night as we take an up close look at the first king of Israel, King Saul. What was his promise, what was his failing? What lesson does it hold for us? Remember, your first lesson is always free of charge and with no obligation. $99 for the course (some scholarships and discounts available), $20 for beautiful student textbook. 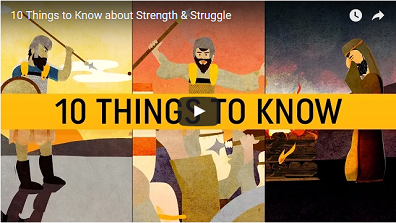 For a sneak preview of all six lessons, click here. When the holiday of Shavuot comes around we celebrate and spiritually re-connect to one of the most amazing events in world history: The giving of the Torah at Mount Sinai! At Chabad of the Bay Area we celebrate it, and celebrate it BIG! Enjoy a most delicious dairy kiddush lunch, with some of our all time favorite homemade cheesecakes, blintzes, an ice cream party and much more (some so delicious that we are not yet permitted to expose)! So save the date and be sure to tell your friends, because this is one holiday celebration that you just don't want to miss! This Sunday: JKids "Everyone Say Cheesecake!" Join us as JKids gets together for another fun event! 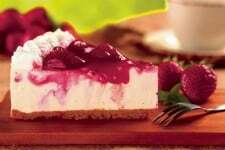 We'll be gearing up for the holiday of Shavuot with delicious Cheesecake making! Let's go have some creative kitchen fun as you craft your very own mouth-watering cheesecake! In addition to fun food and crafts, there'll also be special JKids games and prizes!